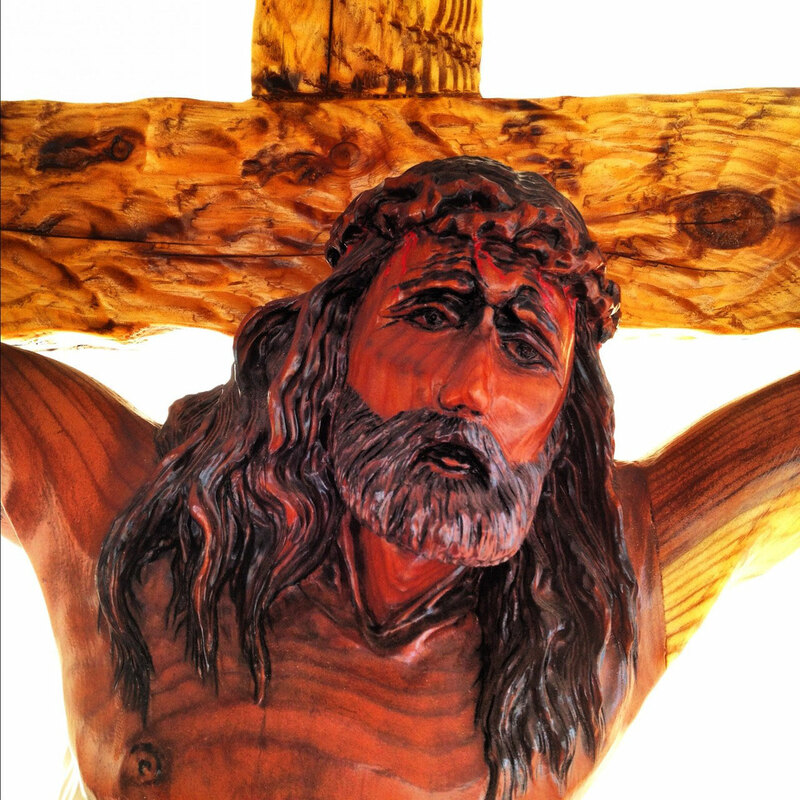 How much do custom sculptures cost? 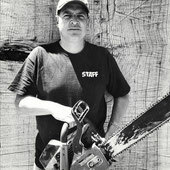 How much do custom chainsaw sculptures cost? Again the sky is the limit, depending on size, detail and subject matter. Probably the best thing for me to do is come out and look at the tree and discuss the possibilities. If you can email me pictures of the tree, it would be very helpful for initial consultation. Try to determine ahead of time what you would like to have carved and a budget frame you can work with. We can look at the tree before the tree service comes to determine where to cut the tree to leave enough for your sculpture. 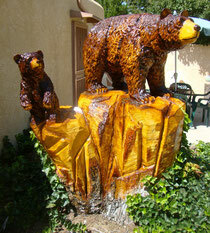 Costs involved with onsite sculptures include, mileage (for distances over 25 miles from Albuquerque, NM) bark removal, scaffolding, clean up and disposal, etc. and sometimes unexpected costs can arise such as hollow spots in the tree that would require special repair, insect and rot mitagation etc. Projects that require travel and overnight stays, current GSA rates will apply (GSA rates include lodging and expenses). My schedule can be pretty full at times so start and finish times can vary quite a bit but I promise to keep you informed all the way. To start your sculpture I ask for 25% down and balance due at satisfactory completion. Please let me know if you have any other questions, thanks!